ATVers in Maine can find thousands of miles of trails, ranging from wooded groves to wide open fields, and packed dirt to wet mud. ATVing offers a unique view of places in Maine which aren’t accessible by car or foot travel. 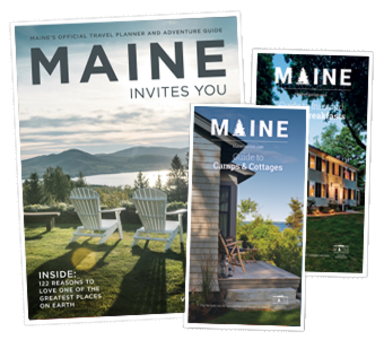 Maine’s ATV trails are scenic and abundant, and are available in great part due to cooperative land owners and companies, as many of the 6,000 miles of trails which traverse the Maine wilderness are on private land and maintained by local ATV clubs. Wilderness in Western Maine is largely owned by timber and paper companies who allow ATVers access to their property for recreational purposes so long as are mindful that they should ride respectfully. Without the use of private land, most trails in the state would not exist and riders should realize the privilege they have to explore the great Maine outdoors. Snowmobilers gather from far and wide to experience Maine’s 3,500-mile, impeccably groomed Interconnected Trail System (ITS). Seasoned snowmobilers can hit Madawaska’s International Snowmobilers Festival, while newbies can rent and get oriented at Millinocket’s New England Outdoor Center. The roughly 10,000 miles of snowmobile trails scattered throughout the Pine Tree State means plenty of options. Check out the Maine Snowmobile Association&apos;s website for trail conditions, maps, and much more.